Nature gives us a boost of vital nutrients in form of vegetables and fruits. Everything has a benefits for health and we should take advantage from it. Diet should contain all essential nutrients provided there is a balance of proportions. Vegetables and fruits come to mind when we think of losing weight. Why is that so? Have you ever given it a thought? Well, this is because of the nutrition they provide us with healthy fats only. Diet plans for weight loss are often designed to include foods that have high nutritional value to give you energy instead of fats. So, how should you add such foods to your diet in a balanced proportion? Actually there is no fixed proportion. You may opt for whatever you like from a category but remember you have to choose from each of them. This will keep a balance of everything and overcome any deficiencies. What’s the Purpose of Plant Based Diet? A plant based diet is purposed to cleanse your system and revitalise yourself with the freshness of fruits and vegetables. Also, such organic foods avoid any processed food intake which is good for your body in every way. Adding whole foods and greens to your diet is the way way of getting all the essential nutrients in your body. A greener diet has several benefits for overall health in terms of mental clarity, clear headedness, hydration, and reduced sweet cravings. Eating organic foods omits flavorings, preservatives, colorings, fats, sugar, and salt from the food which is good for the body. Organic foods do not have any unnecessary flavorings added to destroy your health which is the plus point of eating them on regular basis. There is no point of eating unhealthy processed foods with all the colorings and flavorings added at a high price when it is not even good for the body. Once in a while is fine but try not to get habitual of it. Even if something is peeled, washed, diced, or sliced you will lose its minerals and vitamins. So, why not stay away from processed foods which do not even provide the body with little nutrition and cause damage inside instead. The Best Vegetables Diet Plan can help you attain a healthy and fit body. You may give it a read to have more knowledge about the nutritional values and properties. Vegetables serve as the best diet which is why people eat their greens most days of the week. This practice is generally adopted if you are really concious about your fitness or if you like them more than meat. It is good both ways as you get maximum nutrition from them as they may also substitute meat. Vegetables have all the vitamins and minerals required for optimal body function and therefore we should give them a thought. What are the Nutrients in Vegetables? Vegetables reduce the risk of chronic diseases as they maintain your overall health. They have low fat content and loaded with essential nutrients such as vitamins and minerals. There are vegetables that help lower blood pressure including all those having potassium. Sweet potatoes, white potatoes, spinach, lentils, and kidney beans are important vegetables that are heart friendly. Dietary fiber can help the body to aid digestion and lower the risk of heart disease as well. Fiber is good for bowel movements. Folate is good for neural tube development of babies in the womb of mother. It is crucial to take folate throughout pregnancy and even well before you plan to conceive. Other health benefits of vegetables and its nutrients contained are anti cancer properties. The reduce the risk of heart disease, obesity, and diabetes. They also reduce the risk of kidney disease and also lowers bone loss. Eating few vegetables and fruits may cause nutrient deficiencies in your body which is not a good thing as the body needs nutrition to function properly. You may get exhausted even after little physical activity which is a sign that you are deprived of nutrients. Grapefruits, pineapples, avocadoes, blueberries, apples, mango, strawberries, bananas, pomegranate and the list goes on. Who on Earth would not like to eat such delicious fruits daily and specially if they are so good for your health. Juicy and delicious fruits are seasonal and nature has blessed us with many fruits each season to enjoy thoroughly. Fruits are known to contain a boost of antioxidants which helps to fight cancers and various other diseases. They can help lower cholesterol levels as their beneficial properties work in a friendly way for the heart. Too many bananas may make you have some excessive sugar intake but overall it is the healthiest fruit on Earth. The potassium levels make it healthier for the heart and heart related issues. Even diabetic people tend to get dose of bananas everyday to keep their body’s performance levels optimal. Apples, for instance, have the ideal vitamins for a healthy body. The Vitamins in Apples can boost your overall health ideally which is why we say, an apple a day keeps the doctor away. How to Retain Nutritional Value of Vegetables and Fruits? The healthiest cooking methods require little to no cooking at all. But we try to lose all nutrients by putting unnecessary effort in trying to cook it thoroughly. The best way to retain maximum nutritional value is yo boil, steam, poach, grill, or stir fry foods. 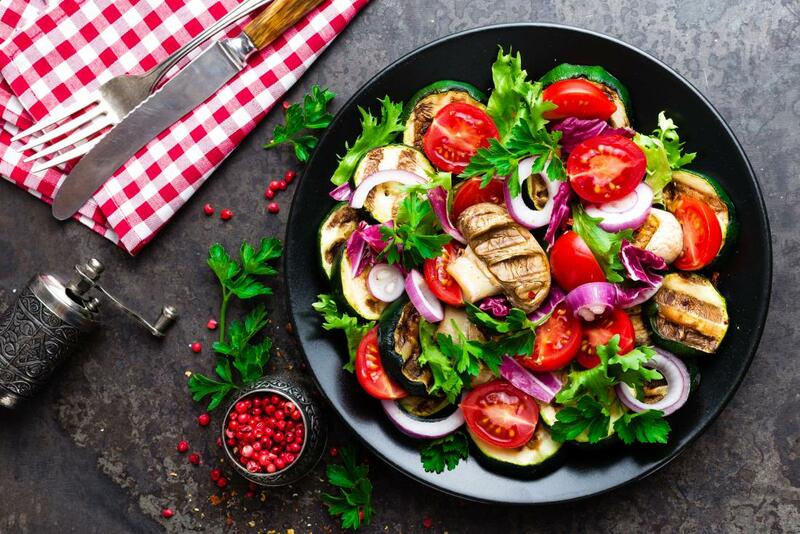 However, you may eat fruits in their natural form, you may not eat some vegetables as they are such as spinach, mushrooms, potatoes, tomatoes, broccoli, and asparagus. 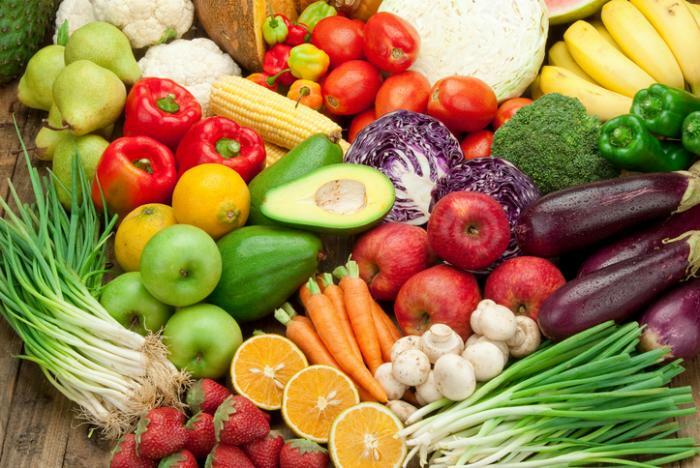 Vegetables or Fruits – What is more Nutritional? Vegetables and fruits are fully packed with nutrients and both are good for your health. Fruits contain higher levels of sugar content but they also have fiber, antioxidants, vitamins, and minerals to keep the bot nourished. Vegetables, on the other hand have fewer calories than fruits and therefore eaten more as meals. Some vegetables and fruits are definitely a nutritional powerhouse and must be included in the diet. How to Change Eating Habits? It is true that we cannot change our dietary habits all of a sudden if we are used to eating processed foods. But it is worth the change if you realize how harmful those are for your health. Try to adapt to change gradually so that your body does not have to adjust suddenly. Whatever you choose, go for the different colors of fruits and vegetables as they will have more nutrition for the body. The more colors you choose, more nutrition you are aiming to get for optimal fitness and health benefits. How much Vegetables and Fruits to eat Everyday? Though it is essential to include healthy foods in your diet, it should always be in moderation. Neither too little nor too much is the ideal way to have a healthy intake of vegetables and fruits too. It is recommended to include 400 grams of vegetables and fruits to your diet in a day which can be portioned in 80 grams per serving. Vegetables and fruits give you a boost of essential Vitamins good for Younger looking Skin. It is therefore important to make them a part of your daily diet to avail all their benefits. Plant based diet will never harm you in any way and that is why many people are switching to become a vegetarian for good health purpose. Vegetables and fruits can be an ideal diet if you choose everytjing in balance. How to Eat Smart with Hypertension?